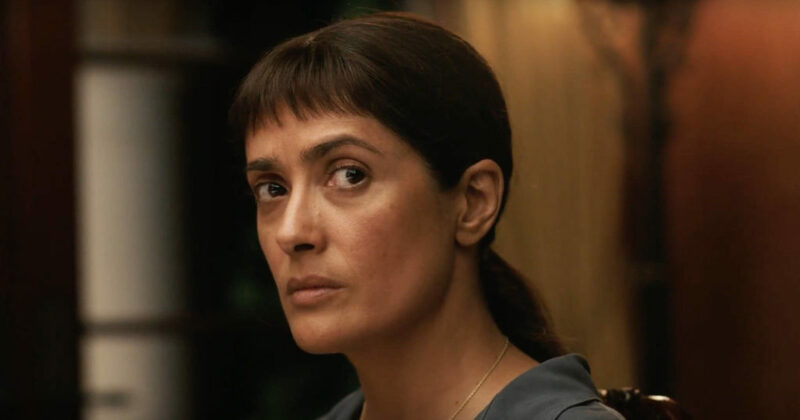 In Beatriz at Dinner, Salma Hayek’s face is cleansed of glamour. But even more noticeable is the expression she wears: empathetic yet often empty, as though a life of being around affluent people had trained her character to wear a mask of watchful neutrality. This is apt, because she plays Beatriz, a Mexican immigrant who works as a holistic healer in Hollywood—her clients are the very rich, albeit the kind who believe in mind-body interventions and shamanism. Beatriz’s poker face is all the more impressive because her brand of medicine requires her to take on the pain of her patients, rendering her something like an old-fashioned saint.